Learning and development should not be seen as an extra cost but as a vital element of project and business delivery. It should be acknowledged that cutting training budgets will have a significant impact on the business. Professional development increases productivity, improves employee interaction and reduces staff churn, all of which contribute to a positive impact on the bottom line.” Jenny Matthew, Head of Courses at Jee Ltd. Businesses are operating in tough economic times, with budgets being significantly cut during the current industry downturn. Unfortunately, when lowering costs is a key priority, learning and development budgets have historically been one of the first areas to take the hit, yet projects still need to be completed and delivered to the highest possible standard. It’s well-proven that investing in learning and staff development is essential to ensure immediate and long-term business objectives are met, such as greater efficiencies in project delivery, as well as supporting professional career development of staff. In addition, investment in training and staff development indicates a company’s intention to nurture growth and create an environment where staff feel valued. Developing your staff and their capabilities helps to develop a cohesiveness within a company that will strengthen the resilience required to overcome most any downturn. Continuous learning and development is beneficial to the individual being trained, the company he or she works for, and the industry as a whole. Training and people development should be a key part of a company’s overall strategy, and rather than cutting deeply into training budgets, alternative cost saving solutions should be considered. There are a number of ways to make significant cost reductions, while still ensuring your staff continue to feel valued, and their progression is seen as one of the company’s key objectives. One of these approaches is online or blended learning. The annual Learning Survey 2014 report commissioned by The Learning and Performance Institute (LPI) has confirmed that, although the traditional classroom remains a viable channel for workplace trainers, it is coming under increasing pressure from live online learning, self-paced e-learning and webinars. 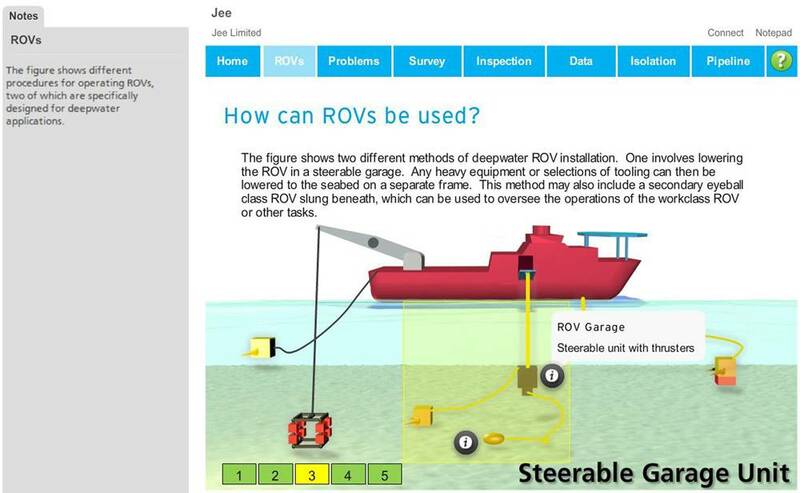 Jee Ltd. is an independent multi-discipline subsea engineering and training firm offering multiple channels for subsea engineering training, through in-company, public and online training delivery. The company recognizes that during buoyant market conditions, flexible training options are required to support learning during busy project periods and that cuts are inevitable during times of industry downturn. Since 2009, Jee has been investing in alternative solutions to meet its customers learning requirements during busy and slow periods. ”Online training, as with classroom training, provides quality teaching which is fully supported by skilled professionals in a facilitated environment - with the added bonus and advantage of accessibility, flexibility and cost saving,” Jenny Matthew, Head of Courses at Jee Ltd., asserts. “A virtual classroom means that there is no need to pay for employees to travel to far out destinations, or incur the accommodation costs that come with it. The flexible approach also means that staff can engage in online training outside of work hours or around their work schedule at their choosing. “In-line with the necessity to adapt to industry requirements and be progressive with those changes, Jee recently upgraded its e-learning site to accommodate the growing number of delegates, and to enhance its online and blended learning offering to the oil, gas and renewables industries. Key features of the Moodle platform include improved functionality for a user-friendly experience, so delegates can easily navigate the site and track their course progress. Online support forums and chat tools enable peer-to-peer learning and knowledge transfer between delegates and tutors. 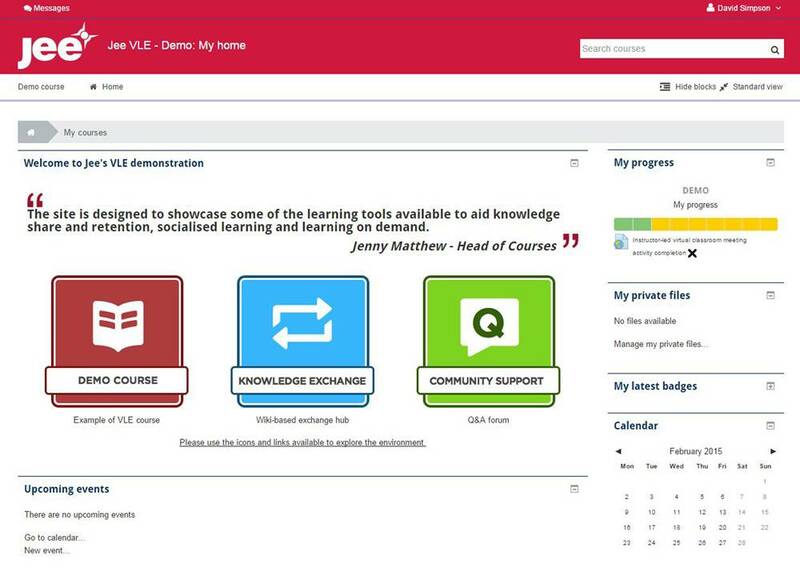 Matthew said “The Moodle platform is designed to be a supportive, integrated and interactive learning environment with on-hand tutors to monitor course progress and provide extra guidance when required – all essential features to provide the optimum experience for the end user. “At Jee we offer delegates the best learning experience, and recognize the importance of blended learning techniques to maximize learning retention and enriching the Jee training experience. Jee offers clients the ability to create a bespoke training program by choosing from a wide range of Jee’s learning materials which include more than 200 course modules, and access to its substantial knowledge library of case-studies, videos, worked examples, assessments and quizzes. The additions to the online platform form an integral part of the blended learning programs that Jee has developed. Blended learning ensures learning deliveries are optimized by selecting the most appropriate delivery method for each learning outcome. For example, a Jee training course may be separated into online learning, self-study, coaching sessions and a tutor-led workshop. 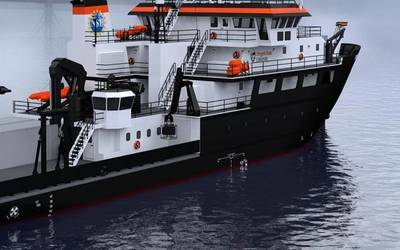 Jee has built up a portfolio of 24 subsea engineering courses offered worldwide, with many taught in the energy hubs of Houston, Norway and Aberdeen. “Learning and development should not be seen as an extra cost but as a vital element of project and business delivery. It should be acknowledged that cutting training budgets will have a significant impact on the business. Professional development increases productivity, improves employee interaction and reduces staff churn, all of which contribute to a positive impact on the bottom line - meaning it should remain a key element of any business’s strategy. “Businesses should see this downturn as an opportunity to look at the bigger business picture, take advantage of cost-effective training solutions and the much needed ‘time to learn’ while the market has slowed and ensure that staff are at the top of their game to meet the needs and demands of a challenging market” said Matthew. 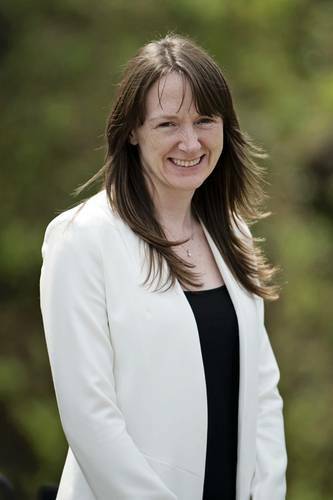 Jenny Matthew is Head of Courses at Jee Ltd. An accomplished senior marketing and business professional, Ms Matthew joined Jee in 2007 as marketing manager, taking up the post of Head of Courses and Marketing in 2011. She is responsible for the day-to-day operations and strategic direction and growth of the courses division.